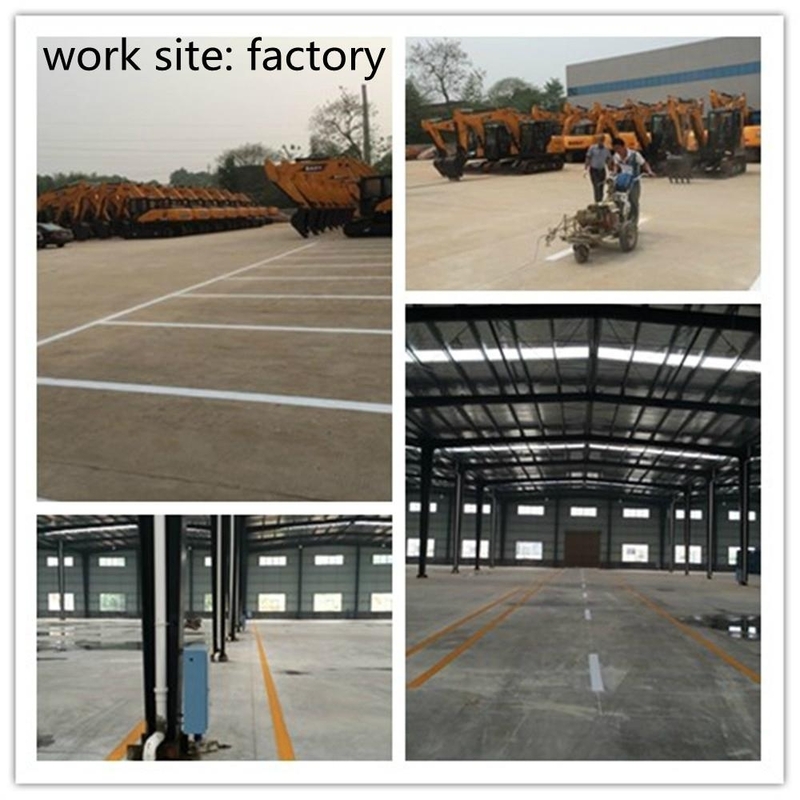 Hand-push thermoplastic road lining machine is key equipment of hot melt index line construction, and it finishes the index line construction cooperating with thermoplastic kettle. 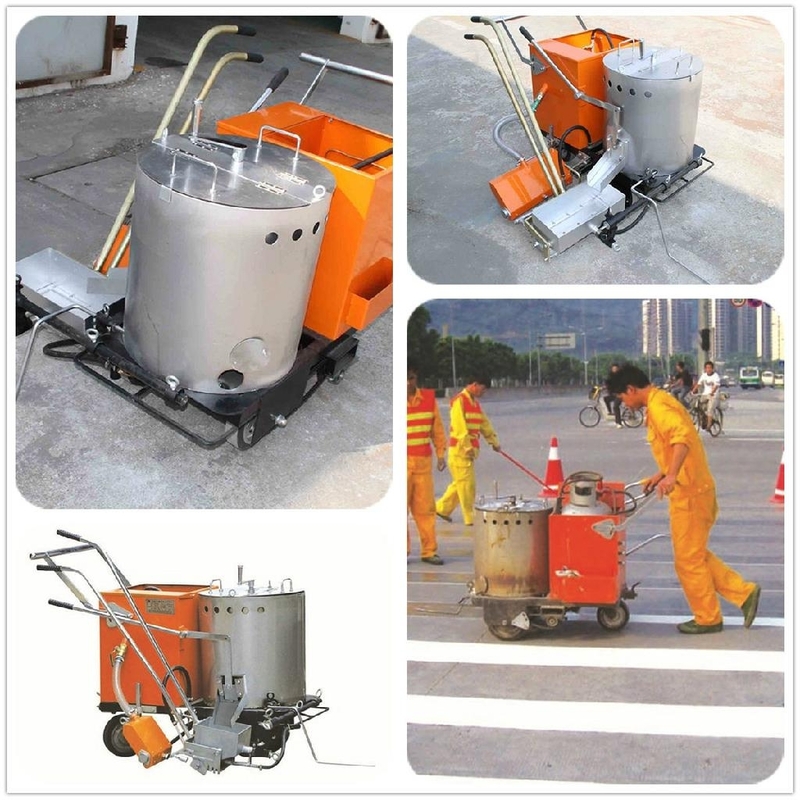 It is mainly used for marking reflective lines (such as straight lines, dotted lines, curved lines, direction arrows, letters) on expressways, city streets and parking lots. 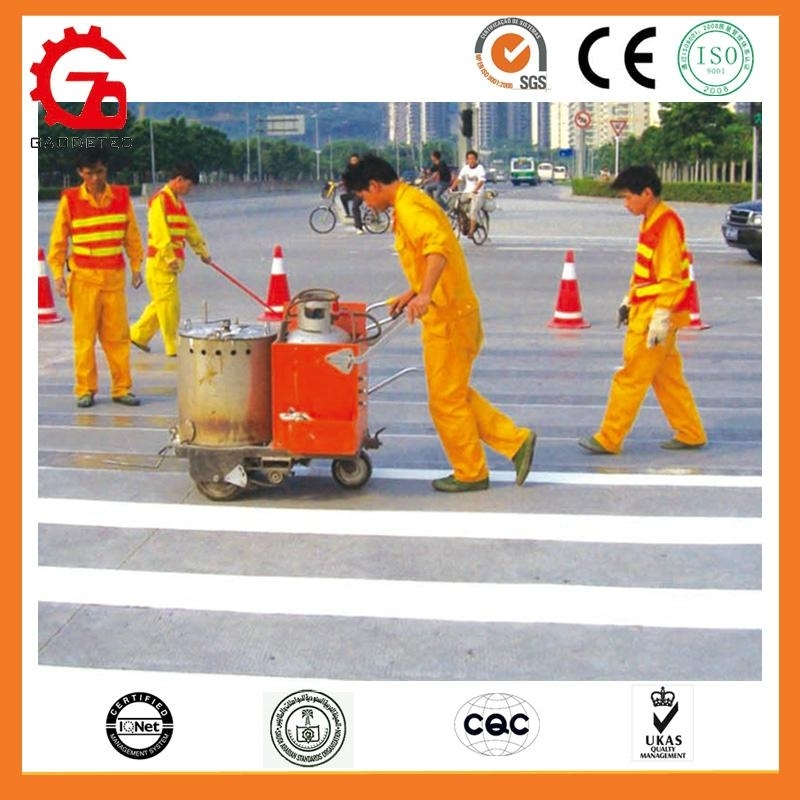 GD320 senior hand-push thermoplastic road marking machine absorbs advanced technology. This machine adopts specially designed high precision cast iron marking bucket to ensure index line’s even edge, head, thickness and tidy lines. 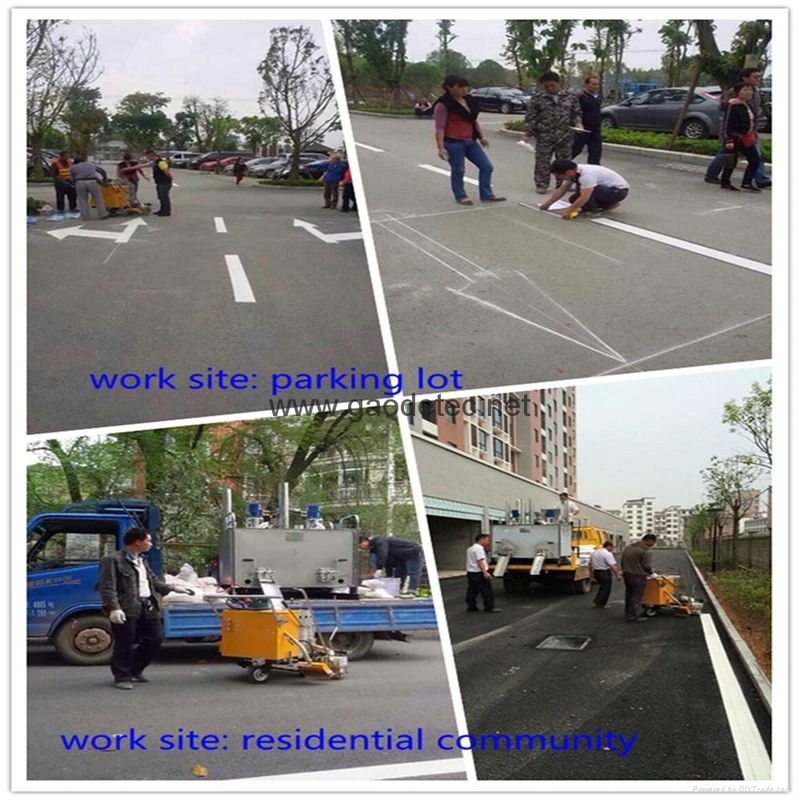 The grounding knife can apply to road surface of different conditions. There is timing and buffering facility in glass beading automatic broadcasting machine, which made this machine has some features such as high efficient, stable performance, easy operation, and convenient maintenance. Light body, compact structure, nice look. Lift handgrip, operator can adjust it as required. Speeder and shocks of bead broadcaster equipped with 2 gears which can be adjusted as required. Demountable device is designed for the heating and holding tank. The reasonable design agitator solves the problem of storing used coating in the tank. The adjustable pointer improves working efficiency. The shoe made by high-precision steel, board scraping structure, it has good thermo stability, resists corrosion, transformation, and can heated easily. The tire is made by cast iron and imported rubber, which make the tire lighter, stronger and more durable.